This is the web page for my interactive Rover agent. It brings up a small yellow dog on your screen, and you can put it anywhere you want. It barks at you and wanders around and is quite neat. 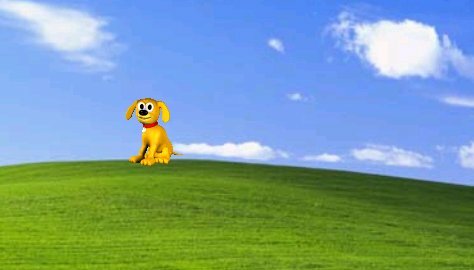 It is based on the Microsoft Agent SDK and uses the same dog that appears in the find files tool in Windows XP. I'm a Linux personal normally but I did find this quite interesting. If you use this on your computer I would love to hear from you. I have received a few feedback emails and it is nice to know that people like this so much! Type in something and click the Speak button.